That’s hot! What do you think about this new boat wrap for Tito’s Handmade Vodka? This boat wrap started off as a thought and ended up as a hot rod on water. BLW Bass Club asked us to take this boat to the next level. This is pretty much a strait forward design with a stark black base, rolling flames, and the Tito’s Logo. Thanks to the crew at BLW for letting us be a part of this awesome project. Have fun and make sure you drink responsibly! 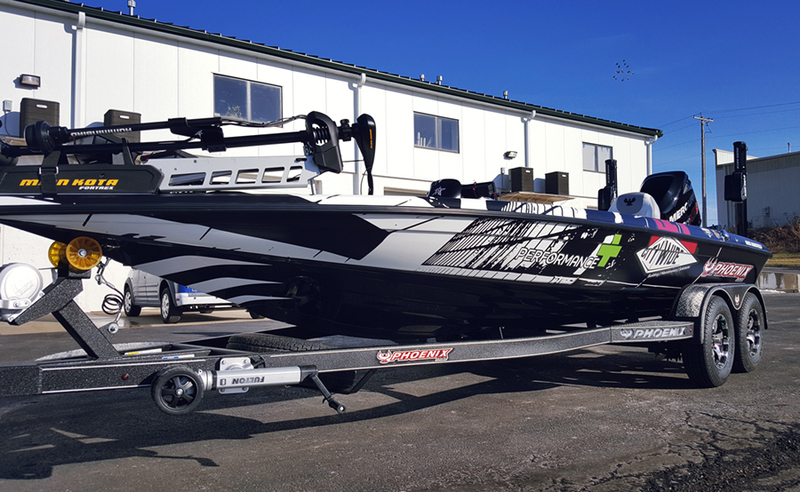 Check out this sleek boat wrap we completed for City Wide Maintenance of Minnesota. City Wide is your go to for building maintenance solutions. The fish are going to be jumping into the boat as soon as it warms up. Thanks City Wide!